A 20-year-old college student who stole cryptocurrency worth more than $5 million by hijacking victims' phone numbers has pleaded guilty and accepted a sentence of 10 years in prison. Ortiz was arrested last year on charges of siphoning millions of dollars in cryptocurrency from around 40 victims using a method commonly known as "SIM swapping," which typically involves fraudulently porting of the same number to a new SIM card belonging to the attacker. 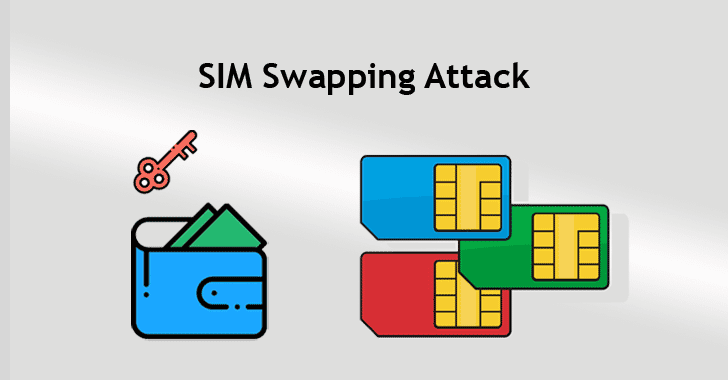 In SIM swapping, attackers social engineer a victim's mobile phone provider by making a phony call posing as their target and claiming that their SIM card has been lost and that they would like to request a SIM swap. The attackers attempt to convince the target's telecommunications company that they are the actual owner of the phone number they want to swap by providing required personal information on the target, like their SSNs and addresses, eventually tricking the telecoms to port the target's phone number over to a SIM card belonging to the attackers. Once successful, the attackers essentially gained access to their target's mobile phone number using which they can obtain one-time passwords, verification codes, and two-factor authentication in order to reset passwords for and gain access to target's social media, email, bank, and cryptocurrency accounts. One of the defendants named Dawson Bakies, accused of stealing the identities of and funds from more than 50 victims in the United States through SIM swapping has been indicted by Manhattan's District Attorney (DA).